If you follow me on Instagram, you would have seen me posting several pictures featuring my OUAI Hair care products. I have actually spoken about the range here when I first got to try them out and this was back in March/April. 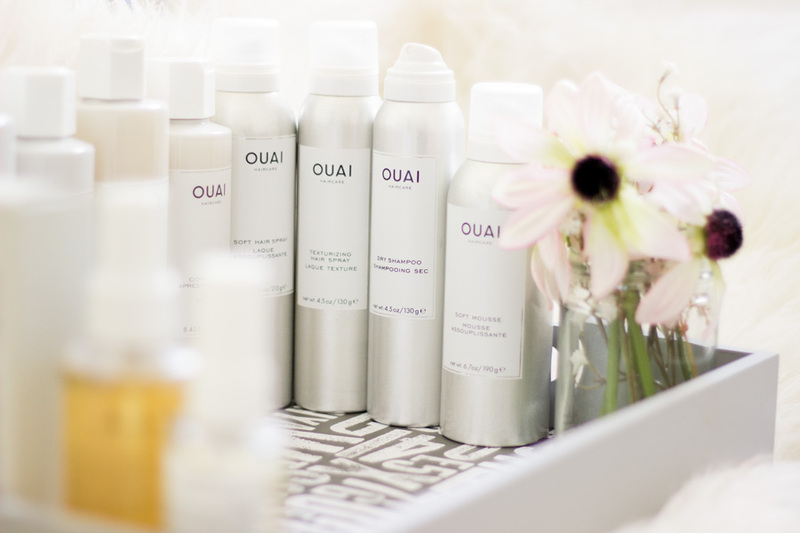 OUAI Hair care was launched in the UK via the amazing MMCL who brought this US Brand over to us. It was originally exclusively sold in Selfridges for a few months and was one of the best selling hair care brands for weeks because the entire range is pretty damn amazing. 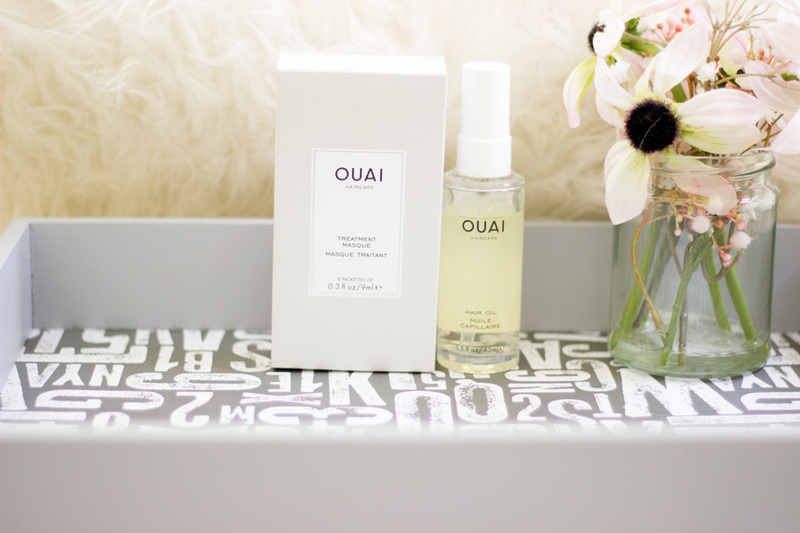 At the moment, OUAI is available from other retailers including Cult Beauty, Space NK, Net-A-Porter, Harvey Nichols, etc. Jen Atkin, who is the amazing founder of this brand, knows her onions when it comes to hair care and she has not rested on her oars at all. She is constantly developing more products and listening to what her customers want. I follow her on Instagram and she once asked her followers what hair problems they would like to see addressed and many people said frizz (that's what I said too). That's exactly why I love her!. I actually met her once when she came to London to celebrate the launch of OUAI in the UK and it was an incredible event. She was so sweet and down to earth and we took some selfies together as you do!! You can read more about that event over here. 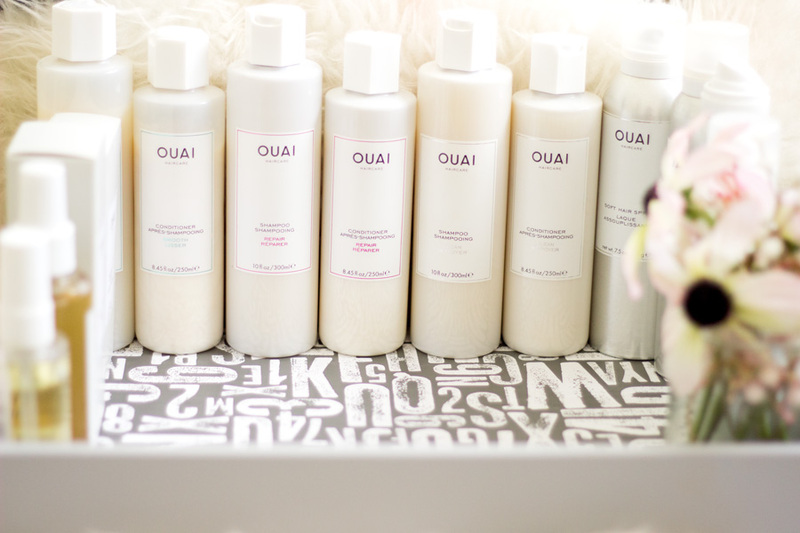 Since April, my OUAI hair care stash has increased to my delight and I believe I have almost all the products that are available in the UK apart from the Volume Shampoo and Conditioner. 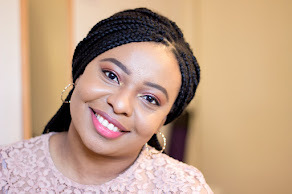 So, this post is for you if you are wondering what product you want to get from the range. For starters, I think I should talk about my hair type. My natural hair is an Afro with coils and curls which I love to play with especially twisting it around my fingers and this tends to break it so I usually wear protective hair styles like extensions, braids and weaves. The texture of my hair is dry and prone to breakage so I love hair products that tend to repair and treat my hair while retaining moisture. I already mentioned I wear hair extensions which have the same texture as my hair when blown out so I also use my hair care both on my Afro and extensions. I feel like any hair care product that works well on extensions is an absolute winner because extensions don't get their own nutrients as they don't grow from our scalps. Hair care products that make extensions look as healthy as they are growing from the scalp are the real MVPs. Right let's get into the review. I am sure if you have heard about OUAI hair care (which is pronounced as "Way") you would already know that it was created by Jen Atkin. She is a seasoned celebrity hairstylist who has done amazing work with many celebrities but many know her for the way she slays Kim Kardashian West's hair (and I think the other Kardashians as well). Her signature hair style is creating effortless lived in waves for both the every day and glam woman/girl. 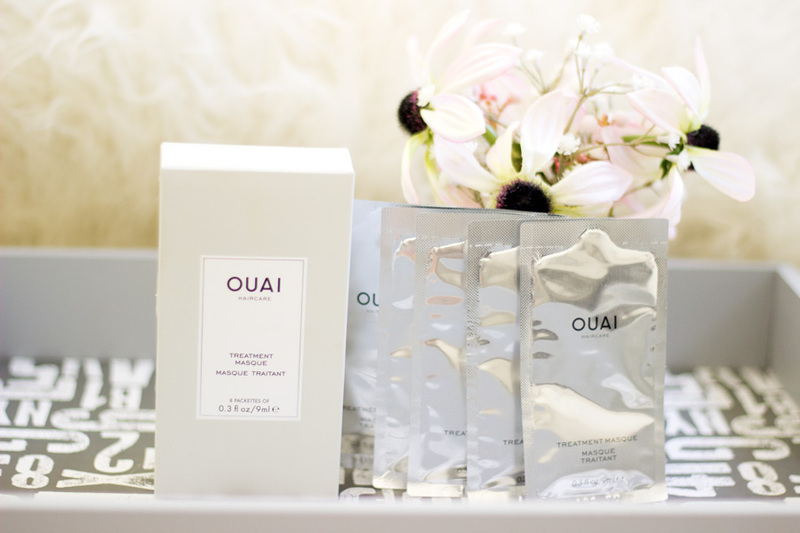 She created OUAI with an aim to capture this modern effortless vibe so anyone can try to recreate it for themselves. If you are wondering about the name OUAI and its meaning well I have got you covered. The word OUAI is culled from the word Ouais which means Yeah or Yes in a casual way in French (the sexiest language on this planet). I really like the name as I feel it just captures the essence of the brand and everything behind its development. They don't test on animals and many of the products are free from Parabens and Sulfate which I am very impressed about. You can check out the entire range on the OUAI haircare website here. The products are split into three collections- Daily Care, Styling and Treatment. There are also four ranges to the shampoo and conditioner line including Smooth, Volume, Repair and Clean. I love that the shampoo and conditioner are targeted to suit different types of hair conditions. One of my favourite things about this brand is that everything is so simplified and relatable. I already mentioned that I have majority of the products stocked here in the UK so I will split them into their ranges as I talk about them below. As the name suggests, this collection consists of products which are used daily such as shampoos and conditioners. I don't wash my hair everyday but if I did, the OUAI shampoos and conditioners will be at the top of my list because they do the job. Each time I use them, my hair feels really clean and fresh and it makes me want to use them everyday. Within this collection, there are a total of 5 ranges however we only have 4 of these ranges in the UK. The entire ranges include Smooth, Repair, Clean, Volume and Curls (currently not available in the UK). I will definitely love to try the Curls range because my hair has curls and coils. First off, it has a very soft place in my heart because it was the first OUAI product I tried. 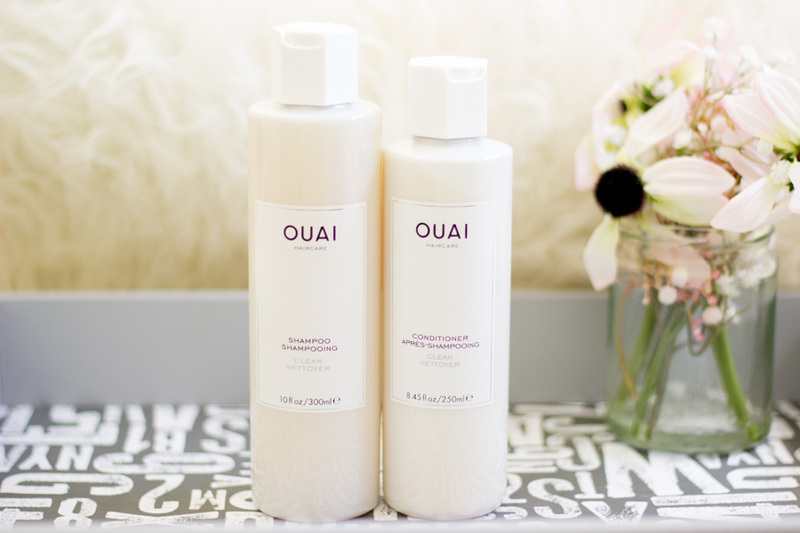 The Smooth Shampoo is described as a hydrating cleanser infused with the OUAI Smart Technology complex that helps calm frizz, cleanses strands and replenishes moisture. I totally agree with this description as it really keeps my natural hair soft with minimal frizz, I think it's the softness it confers to my hair that makes me reach for it often. For my extensions, I use this more often because it really gives it some life and bounce which many shampoos fail to do. The Smooth conditioner is equally amazing and I think it has more fragrance than the shampoo. Seriously, they both smell so beautiful that I always leave the conditioner longer on my hair than I need to. If you tend to suffer from frizz and you are after products that keeps your smooth without weighing it down, I will highly recommend checking these out. 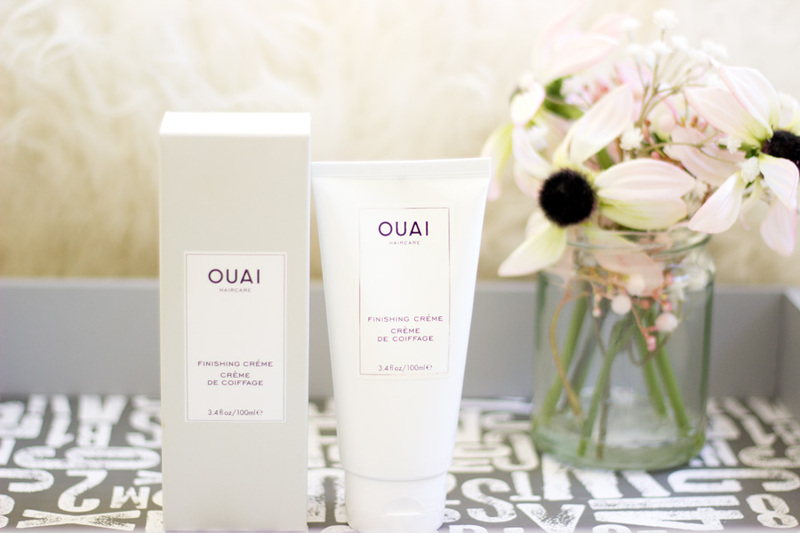 I received this duo at the OUAI UK Launch event and I was so curious to try it because I'd heard good things about this particular range. I am sure everyone wants clean hair so the name is very appropriate. The Clean shampoo is described as a gentle detoxifying cleanser infused with the OUAI Smart technology that hits refresh on overworked hair leaving strands soft and clean. I think this is one I'd recommend if you wash your hair everyday because it does the job but without weighing or stripping your hair out. I have enjoyed using this as a Sunday shampoo and it smells so gorgeous and the same goes for the conditioner. They both smell incredible and leaves my hair very soft. Surprisingly, I have used these duo more than the rest of the range because it is perfect for when my hair is on its best behaviour. 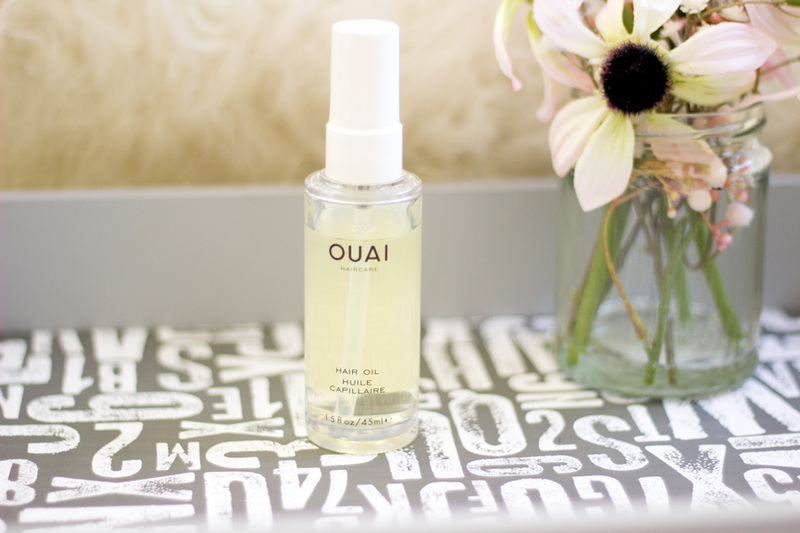 Ladies and gents, can I introduce you to my absolute favourite daily care range from OUAI? 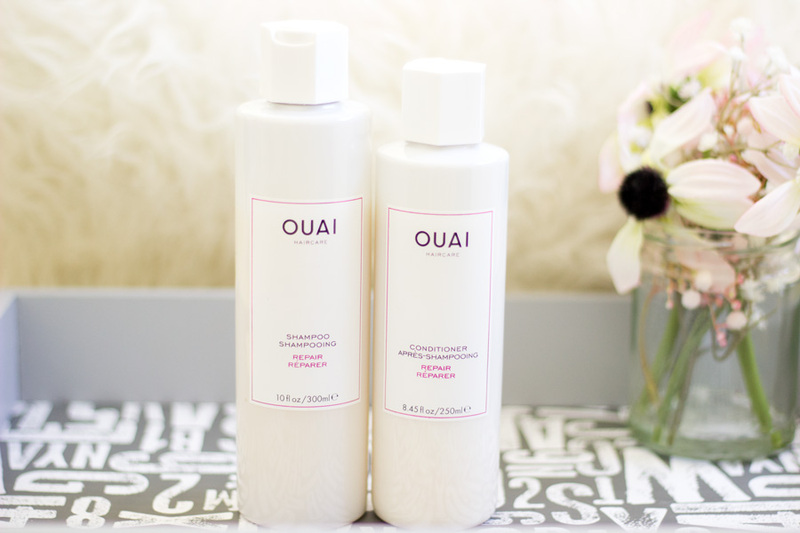 I absolutely adore the OUAI Repair range because it has saved my hair more than a few occasions. This range is one of the few I have tried that is excellent both for my hair and my hair extensions and delivers consistent beautiful results. The Repair shampoo is designed to replenish moisture and fortifies breakage prone strands. I knew from the description alone that I'd fall in love with it and I absolutely did. My Afro adores this range and I think it adores my Afro as well because it always transforms it. The shampoo workson my my curls and refreshes them while helping them retain moisture which is one thing that's difficult with my curls. I also always leave the conditioner slightly longer than I should because the results are always worth it. I don't have to stress myself detangling my hair afterwards because it is already soft. The overall hair texture feels very fortified with less breakage and I'd highly recommend it. I had an old set of extensions and this range completely revived it and that's one of the many reasons why it will always remain my favourite collection within the brand. I feel like Daily Care for the hair helps it grow and be healthy but styling with the right products really transforms the hair. I totally love all the OUAI stlying products because they are simple yet effective and I still cannot get over how gorgeous they smell. They are quite a few products within the range depending on what kind of hair you have or the style you are after. It is very difficult not t find at least one product that will work for your hair type. There are some products within the styling range that I use everyday especially the one that help my style last all day as I work long hours. To be honest, I have always hated mousse and I know I am not alone on this. All the mousses (very, very few) I have ever tried have been scrunchy, crusty and very dry. They always left my hair like it was baked in an oven and getting rid of the crustiness was a hassle and for many years I never tried mousse. 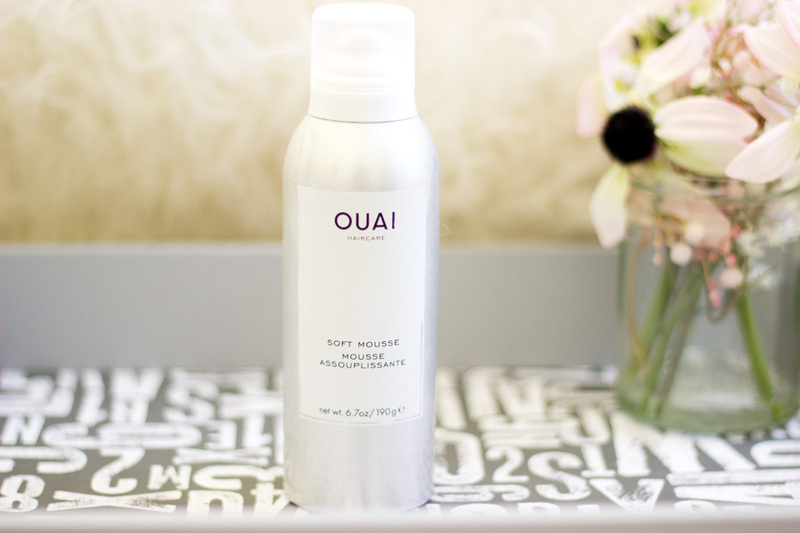 That all changed when the lovely OUAI Soft Mousse arrived at my doorstep. At first, I was sceptical and said surely this will be the same but I decided to give it a try since the other products had been amazing. That one try has turned out to be many tries and I am still using it. The OUAI Soft Mousse is everything I have ever wanted from a mousse and even more. It is described as an ultra flexible formula designed to creating weightless, moveable hold and root lift without the crunch. I use this mainly on my hair extensions which have a similar texture to my hair blown out and it really keeps them frizz free. It's almost like magic and I love to use it in the morning and watch the beautiful transformation. I love how it does not feel tacky at all nor crunchy and that's the winning formula for this product. One thing I do have to say is that you need to give it a really good shake otherwise it won't form a proper mousse foam (it may turn into liquid instead). Also, a little goes a long way so always dispense smaller than you'd use for other mousses as it actually expands once dispenses pretty rapidly. I absolutely love it. If you have shyed away from mousses for ages due to its crunchiness, the OUAI Soft Mousse is definitely one to try. I only use hair sprays when I have just installed my hair extensions and when I use gel on my Afro. It's not something I use often because many sprays I have tried in the past give a hold but a very crunchy one. 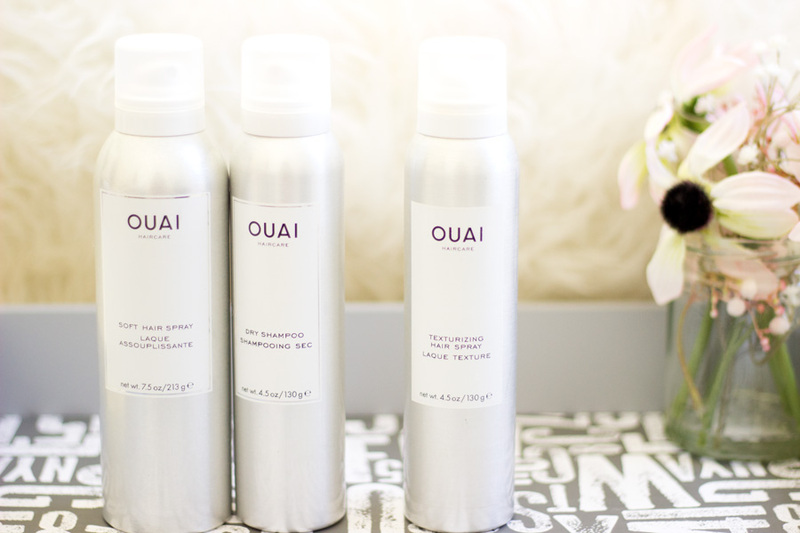 As I was already impressed with other OUAI hair care products, I knew this would not let me down and indeed it has not. The first thing that attracted me to this soft hair spray was the beautiful fragrance. I honestly cannot wait for Jen Atkin to release her fragrance range because all her hair products already smell incredible. 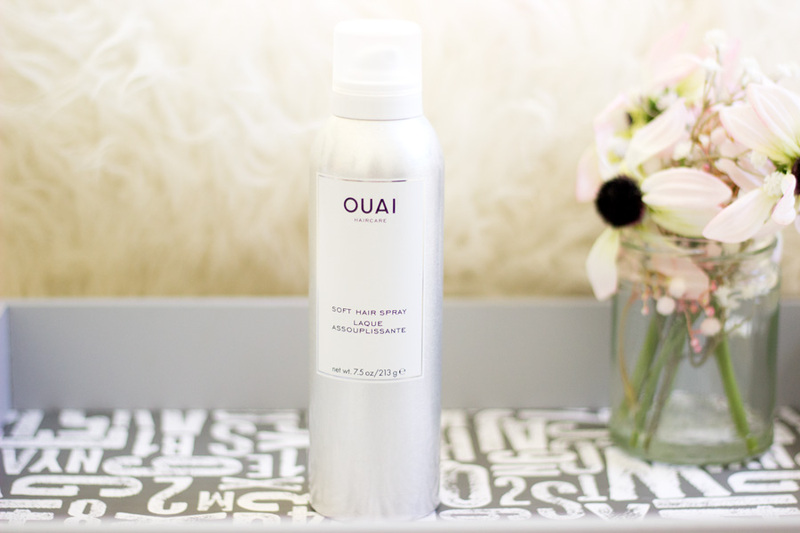 The OUAI Soft Hair Spray is described as a hair spray that provides a lightweight flexible hold with no stiffness or stickiness (just as I like it). I always use it when I am done styling my hair and it keeps my hair slayed all day and even the humidity cannot destroy my hard work. I always use it as my finishing touch and I can still catch a whiff of its incredible fragrance during the course of the day. I love to wash my hair especially ever since I've been blessed to have many amazing brands to try. However, there are a few times that I opt for the Dry Shampoo because it is a quick way to absorb any greasiness from the previous days and a way to refresh my hair. That's where the OUAI Dry Shampoo comes in and it has really changed the game of Dry Shampoos for me. The one thing many dry shampoo users dread is the infamous white residue that is usually left in the hair after using dry shampoos. 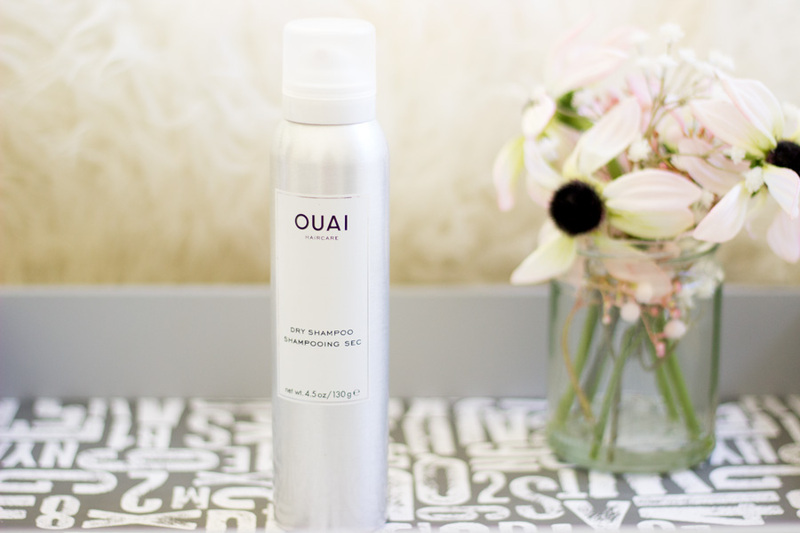 Only very few dry shampoos manage not to leave this annoying white residue and OUAI Dry Shampoo is in this league. I have tried a few other dry shampoos which I didn't get on well, not just because of the white residue, but mainly because I didn't see any difference in my hair. The OUAI Dry Shampoo is designed to instantly absorb excess oils and grease from the hair thanks to its infused volcanic minerals. It is also enriched with various intoxicating and exotic scents (similar across the entire range) such as Italian Lemon, Magnolia, Rose Oil, Blackberry, Musk, Patchouli, to mention a few. These scents make me reach for it more often than I need to. More importantly, it really helps refresh my hair and keep it grease free from all the other product build up before I get to wash it. 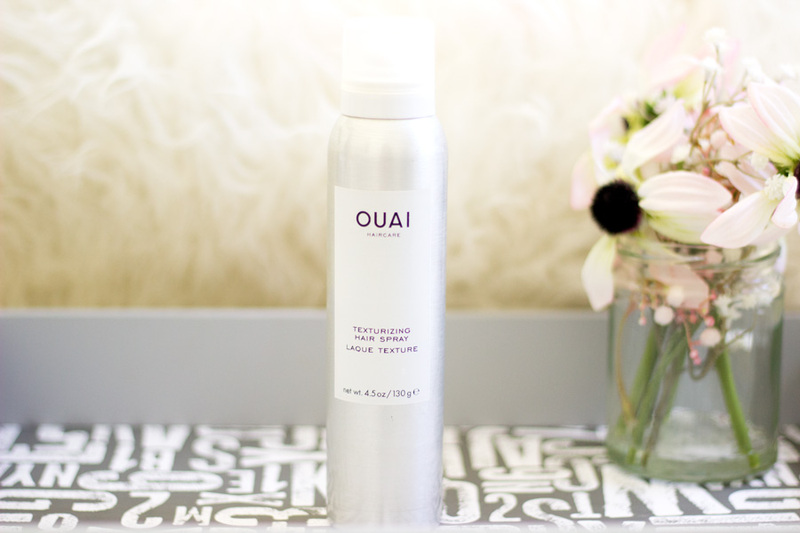 This was actually one of the first hair sprays I tried from OUAI and it's still one of my favourites. According to Jen Atkin, the texturizing hair spray will be the resulting product if the Soft Hair Spray and the Dry Shampoo had a baby and I absolutely agree. 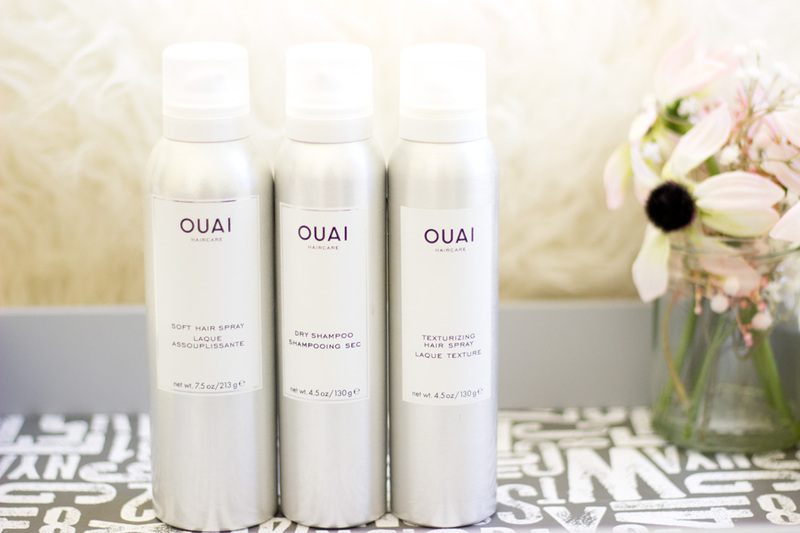 OUAI Haircare describes it as the key to creating bed-head texture (Jen's signature style to create) in an instant. I always opt for it whenever I have waves in my hair because it just adds volume, lift and a bounce to these waves. The best thing about the waves I create with this product is that they look so effortless and even seem to get better as the days go by. On the first day, it looks amazing as expected but on Day 2 and 3 the waves look incredible especially after a quick spritz. I always spray by lifting the waves ever so lightly, spray ad scrunch up and I am good to go. Before I got the Soft Hair Spray, I just used to spray the texturizing spray (even when I didn't have waves in my hair) because I just could not resist its gorgeous scent. I still can't get over the scent. If you are after a multi tasking product that adds volume, lift, texture, creates beautiful waves and smells beautiful, look no further because you'd love this product. Now this is one product that will help you transform your hair to beach waves or bed tousled waves with the littlest effort. I have to admit that I have not used it as much as I thought I would but that's only because I have just been reaching for the texturizing spray instead. I have watched Jen use this on YouTube more than a few times and I can see why it is one of her favourite products. 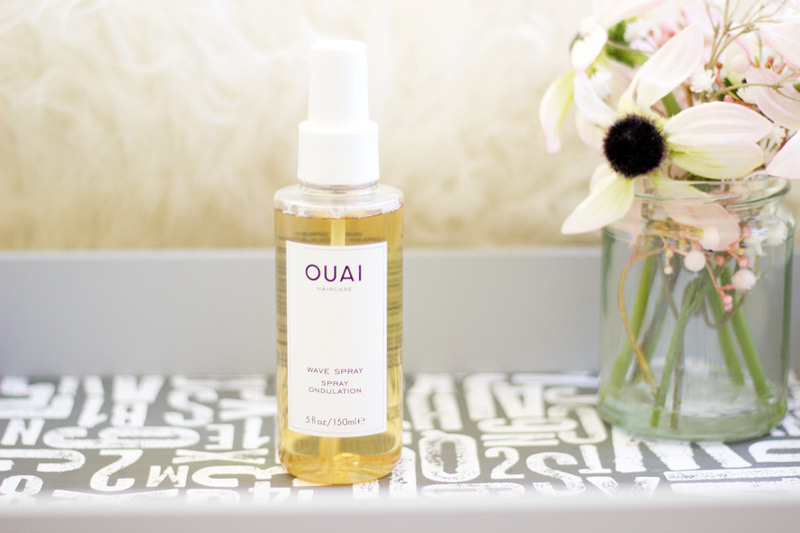 Most times, wave sprays are made from traditional salt however the OUAI Wave Spray is formulated with rice protein which helps the hair. I would have preferred if it sprayed with a very even mist but I'd say the mist is still good compared to a few others I have tried. I tend to spray my waves section by section rather than my whole head so I can get the full benefits. It always coats my waves with an ultra fine mist that leaves them with a lovely bounce. 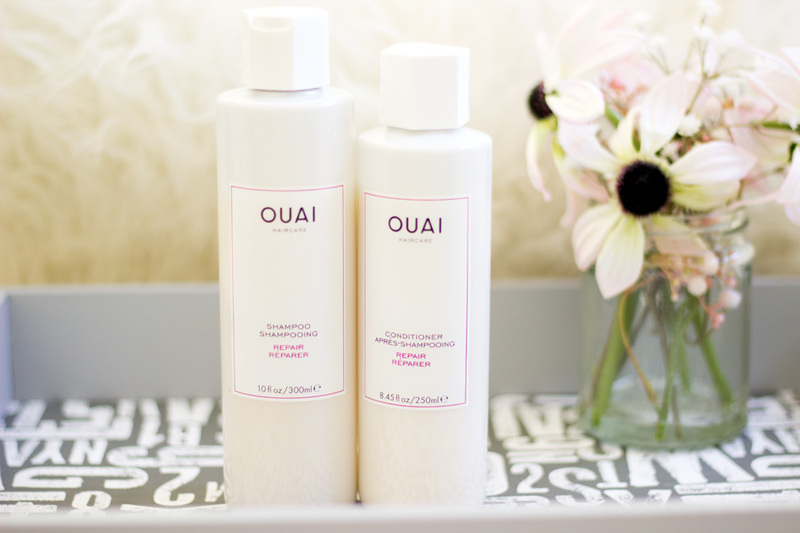 It is not sticky at all which is one thing I like about OUAI Hair care products!! I need to use it more than I currently am because it is a lovely product. I thought I need to end the styling section with my new BFF- the Finishing Creme. Again, I have always shied away from finishing cremes because they tend to weigh my hair down or turn my Afro curly after I have straightened it. All I wanted was a finishing creme that tamed frizz, transformed my hair and kept it in place for the long day ahead. I was more than delighted when I gave the OUAI Finishing Creme a try and it ticked all the boxes for me. It still ever so slightly turns my Afro slightly curly because it contains aqua (water) but nowhere near as curly frizzy as others I have tried. As expected from OUAI, it smells just like jasmine and roses mixed together. I use a really small amount and work it more towards the mid length to the ends of my hair. I then use whatever is left on the top part of my hair and it works so well for me this way. This is one product I have used almost everyday and I keep using mainly because it is undetectable. No white film or residue to be seen and I am very obsessed with it. When it comes to treatment, I always reserve it for Sundays when I have enough time to pamper my hair. I love hair treatments because you can pop them on, wear a shower cap and do some chores while your hair gets some loving. 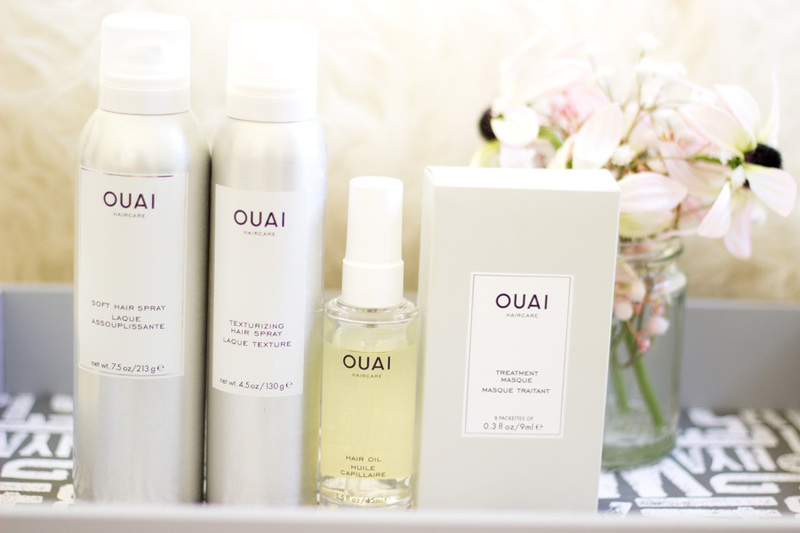 Within the OUAI Hair Care products, I believe there are only two products within this range. They include the Hair Treatment Masque and the Hair Oil. I think the Hair Oil can also be classified under Hair Styling as it is a versatile product but I have just left it under treatment for this review. This is the one product that I had my eyes on and I knew I had to get my hands on. I am a huge fan of oils especially light weight ones because they help nourish my Afro and also helps retain moisture. Moisture and Hair oil is very important for my hair texture because it also supports hair growth for me and makes it look really healthy. 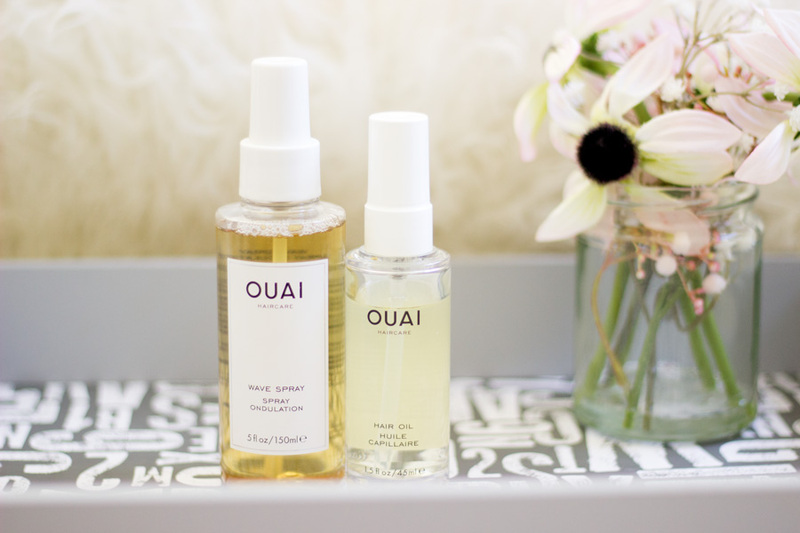 I have a small collection of oils that I alternate but the OUAI Hair Oil is one of my favourites. My favourite thing I love about this hair oil, apart from its beautiful scent, is its lightweight nature. It applies so smoothly without any greasy feeling and yet it still provides all the benefits of a good oil. It is infused with Ylang-Ylang, Gardenia, White Musk and Violet (need I say more about its absolutely gorgeous scent?). I use this mainly after I have washed my Afro and leave it to dry and on my hair extensions I use it to seal in other products I have used. It adds such a beautiful natural shine to my hair as well and it is also one of my favourite products from the range. The only con is the size versus the price. It contains 50 ml for £24 and my Afro loves a lot of oil so it's not the best value for money for me but I think I may still repurchase it because I am in love with it. 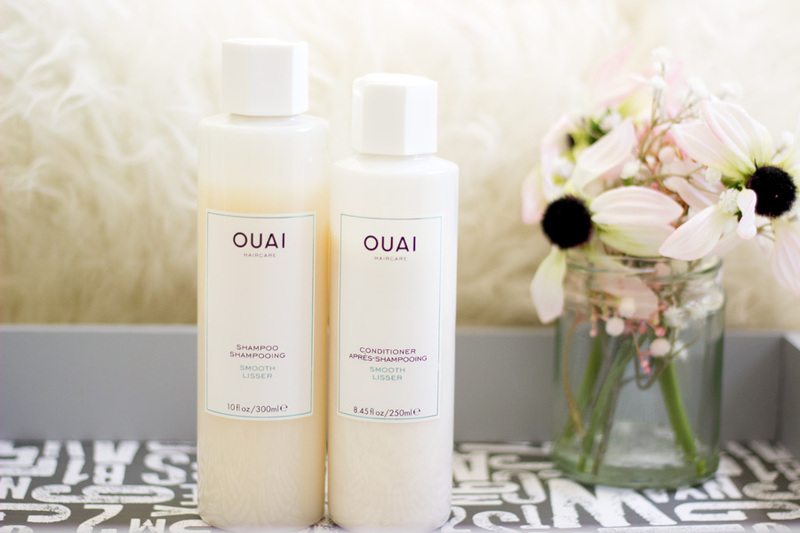 Now I saved one of the best products for the last because it is one product that you should get if you wanted to invest in any OUAI product. I had one sample before but never got to try until much later this year and I don't know what I did before it. It is designed to help maintain the hair's health and rehabilitate stressed hair. I have to say it absolutely does this. Inside the pack, you get about 8 sachets which I love because I can travel with one sachet. At first I thought, there is no way one sachet will be enough for my Afro but I was so wrong as it really is. I just work it from bottom to to, pop on a shower cap and leave it on anywhere from 15-30 minutes (recommended time is 5-10 minutes but I prefer to leave it longer). When I rinse it off, my hair is super, super soft, smells amazing and feels so much healthier. I always look forward to treating my hair with this Hair Masque and I actually think it is amazing value for money. Each sachet contains 9ml of product which is enough for one use so the entire packet will last for two months. I absolutely love it and I think it will suit all hair types. It is enriched with amino acids, keratin, hibiscus, jasmine among others. It is definitely one I highly recommend. 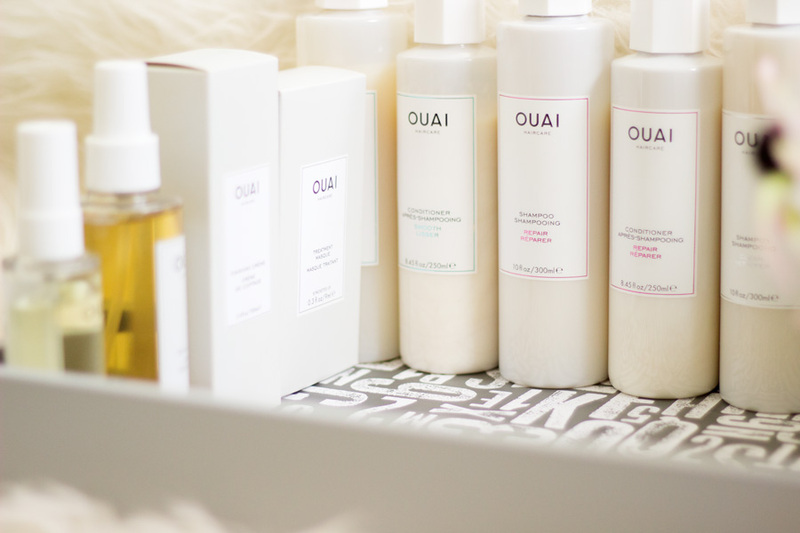 I am so delighted that OUAI Haircare products can be purchased in the UK although it is a US based brand and a massive thanks to MMCL for facilitating it for us. If you live in the US, you can purchase directly from the OUAI website. If you live in the UK, you can purchase the range from Selfridges, Harvey Nichols, Cult Beauty, etc. The good thing is some of them are actual shops that you can pop into to get a feel and test of it before purchasing. If I were to choose my favourites, it will definitely be the Hair Oil, Hair Repair Shampoo and Conditioner, Soft Hair Spray and Texturising Spray. I know it is a ridiculous long list but these are the products I have enjoyed and used the most. I will highly recommend them to anyone and I have introduced this brand to many friends just by word of mouth. 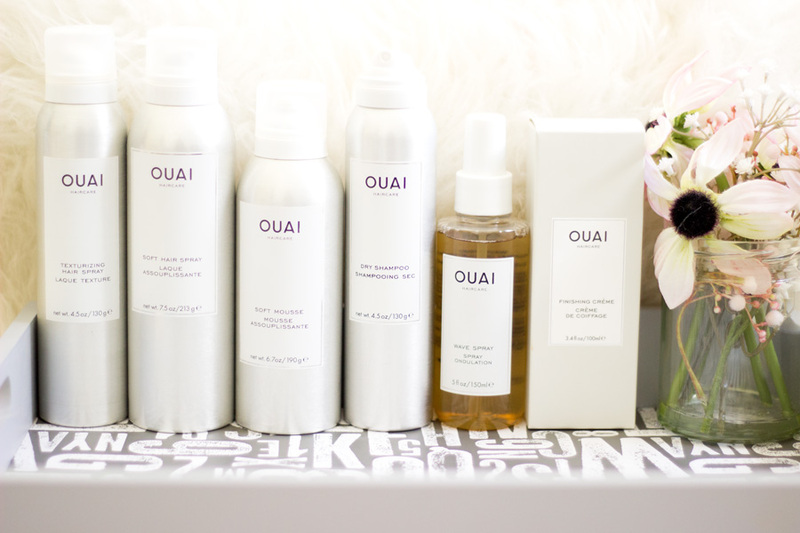 My view of many products which I thought will not work on Afro hair has completely changed and the OUAI Hair Care is one of the products that have helped with this. A massive thanks to MMCL for gifting me so many OUAI products that I can easily open a hair salon!! I hope you have enjoyed this post. 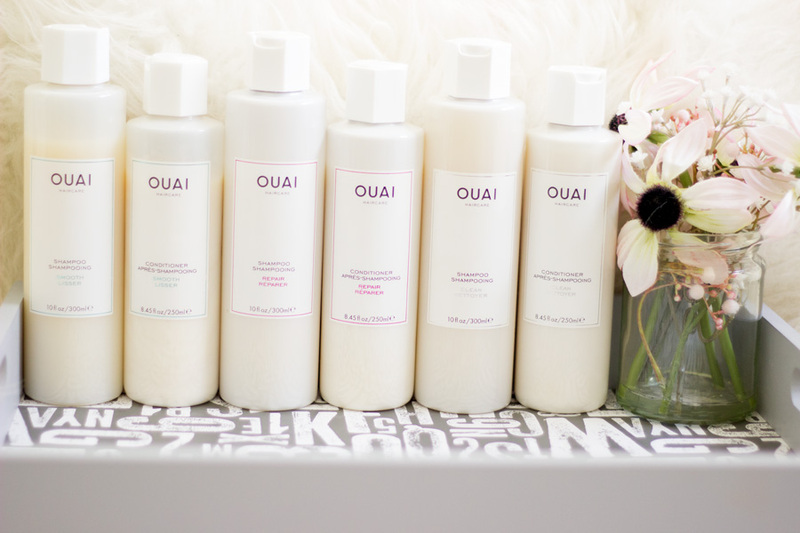 Have you tried any OUAI Hair Care products?